What Is Physical Therapy (PT) or Rehabilitation Therapy? PT, or rehabilitation, is considered a conservative treatment method that addresses the treatment, healing, and prevention of injuries and disabilities. PT focuses primarily, but not solely, on pain relief, promotion of healing, and restoration of function, movement, facilitation, and adaptation associated with injury. Other areas that are focused on are ergonomic (body mechanic) training, fitness/wellness, and, especially, education. Many patients may think that they know how to properly exercise, manage their pain, and rehabilitate themselves. 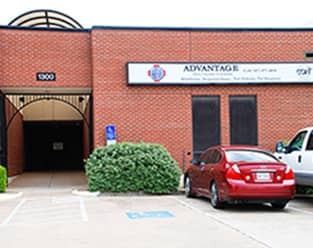 At Advantage HCS, our therapists are specialists who are skilled and educated specifically in proper rehabilitation. We are continually educated as to the management of different dysfunctions and the differentiation of one dysfunction/injury from another, and we work closely with the referring physician in the development of a rehabilitation program specifically designed for each individual. The other important aspect to remember with therapy is that each individual is different. We all have different types of bodies, different patterns of movement, different alignments, and different habits. Our physicians, along with their trained staff, monitor each individual and attempt to correct improper habits, alignments, and movement patterns. One very important aspect of therapy is education. Because of healthcare guidelines and reimbursement changes, your physician may not have the time that he or she will need to explain to you exactly what is your injury, dysfunction, and/or disability and why and how it occurred. Your therapist is a specialist and often is the one to educate you on the specifics of your problem and what the course of action will be to correct it and prevent it from recurring. This is such a popular question. It seems that everyone has to have timelines, which is understandable because we all have lives to lead. Your therapist is aware that rehabilitation can be an imposition. I always reply to these statements by explaining that because each person is different, rates of healing are different. We can usually get an idea of your progression within 2 weeks. Other factors that play a role in the length of time in therapy is compliance with taught techniques and following through with home-based exercises. Handouts and training will be given to all therapy patients, and we encourage you to ask questions about any aspect. Many and all can benefit from therapy. We rarely come across individuals with perfect body mechanics, training techniques, or movement patterns. This is where wellness comes into play. Typically, the most appropriate patients are those who have been in accidents (work, auto, or falls), athletes with overstress injuries, arthritic patients, preoperative and postoperative patients, and patients with general deconditioning or strains. Therapy generally encompasses pain relief, strength and flexibility training, proper postural alignment, regaining movement or range of motion, improving and correcting posture, endurance training, relaxation and stress-relieving techniques, balance and coordination training, proper walking, education, safety awareness, and development/implementation of a home exercise program. Remember that each individual is different, so each rehabilitation/physical therapy program is different. Healing takes time; be patient, diligent, and compliant. If you think you may be a candidate for rehabilitation, speak to your physician or to a therapist.